Have an idea for a cartoon or video for a special event, person or purpose? Over the years I have drawn cartoons for special events, people and purposes. 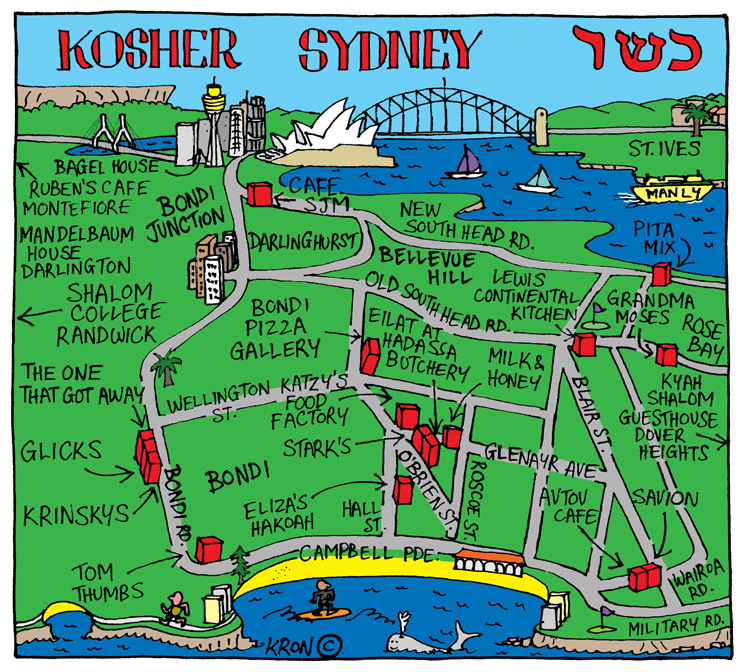 Here’s one example – promoting kosher outlets in this Kosher Sydney poster. Other examples include a postcard promoting Yiddish language courses at a University Jewish Studies Department, a 50th Birthday card for a high profile member of the community and a Jewish community life image for a fundraising t-shirt. Feel free to contact me, though please keep in mind I have to feel comfortable with any cartoon or video that I draw. Is the red tomato still around?